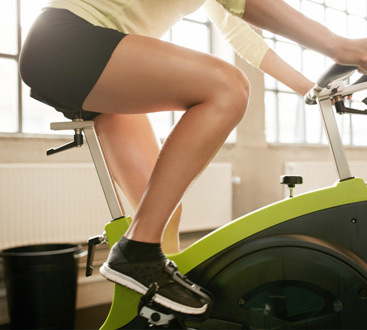 RPM is an indoor cycling class that gets your heart pumping and your legs burning! Instructors will lead you through hills, mountains, flats, and different interval training rhythms. This fitness class will help improve your aerobic fitness, burns major calories, and is low impact for less soreness. These workouts don’t really explain themselves, unless you think about them as if your were biking outside, how would you be riding through hills? How would you be doing a mountains climb? 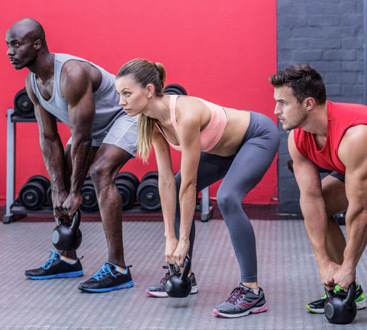 The paces are different and the intensity will change throughout the workout, making you burn more calories and giving you a great cardio class. Wear workout clothing that are comfortable and allows you to move without rubbing. Cycling shoes are not mandatory, but they will improve your performance. So if you are looking to get the absolute most out of your RPM class, you should invest in some cycling shoes. Don’t forget your water bottle and a towel if you want to be able to dry your sweat throughout this intense interval-training. RPM is meant to get you in great aerobic shape, pushing you to work harder, and challenge yourself. This class will burn a lot of calories, strengthen your legs, and get you lean in no time! This is a great class for anyone with joint pain, since it is a low impact class, you will not feel the pain as much as in other high impact workouts.